If the heat isn’t the first thing that gets you, it will probably be the silence. The Wheatbelt region of Western Australia is a vast expanse of land, bigger than England with a population of just 72,000 people – or about one person for every two square kilometres. It can be a lonely place. At times there is not much to keep you company, aside from your thoughts – and if they start to turn dark, it may be difficult to hear another voice. Times are changing in the Wheatbelt. One way or another, many are looking for a way out. For them, the Wheatbelt is no longer a land of opportunity. Harold Shadbolt was just 18 in 1910, when he left Raywood, a town near Bendigo in Victoria, where his family settled during the gold rush. He headed west, from Port Phillip to Fremantle. He got off the train at Nangeenan Station, about 290 kilometres north-east of Perth, and walked 90 kilometres through thick bush to find a place to start a new life. His six brothers, five sisters and parents followed later. The patch of land where Harold Shadbolt settled is now the town of Mukinbudin, known by locals as Muka. Harold’s decendants still live in the area. The bush, too thick to ride a horse through when Harold walked all that way a century ago, has been cleared to make way for paddocks. Some of those paddocks are now part of Gum Park, a farm which has been in the Shadbolt family since 1913 and has expanded to comprise an area of 22,000 acres. 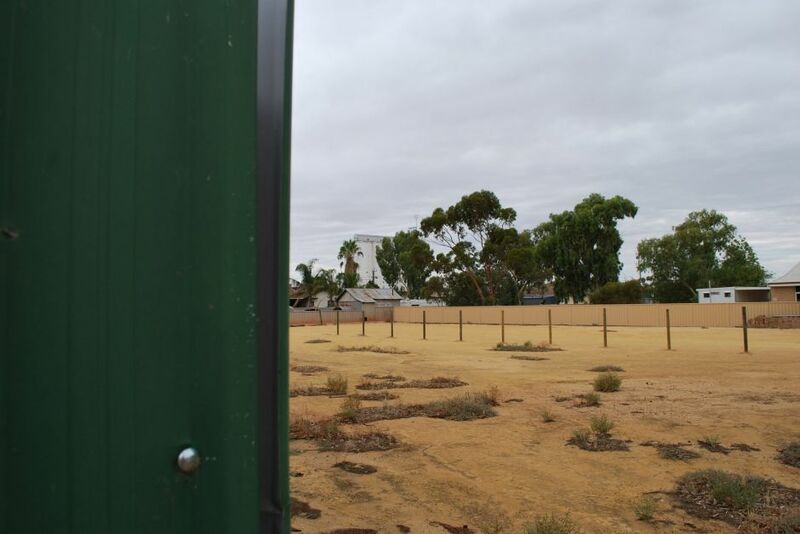 But the future of the Shadbolts in the Wheatbelt is uncertain. Their property has been up for sale for the past two years, with its entry onto the market coinciding with Gum Park’s 100-year anniversary. Today, Harold’s grandson John is in a difficult position. He wants to see the farm survive and stay in the family. There is hope for him. But his hope is tainted by the stories of his friends and fellow farmers. As a pillar of Muka, a community leader, he hears a lot – too many sad stories. “The pressure on families and communities is unbearable,” John says. North of the Great Eastern Highway, John reckons there are barely any farms making ends meet. A government source suggests 35 per cent of all farms in WA are failing to make a profit. It has been difficult for many farmers in the Wheatbelt with years of bad weather exacerbating financial challenges. A Muka local says eight dead kangaroos were last week found next to a dry dam. Community meetings aimed at addressing financial hardships amid depression are becoming regular events. In 2003, there were 689 residents in the Shire of Mukinbudin. That figure dropped by about 28 per cent in 2013, with 491 remaining. Gum Park, a large property with an immense collection of high-end machinery, isn’t immune from the pressure of mounting debt. And then there is the issue of pride. John says when a farmer belives he can’t provide for his family, or when his farm is struggling, he can feel he has failed and has nowhere to turn. “Sometimes it seems like there’s only one way out,” he says, reflecting on the recent death of another Wheatbelt farmer. Still, the Shadbolts’ story is also about a determination to triumph amid adversity. In some ways, although financial pressures have forced him to put Gum Park on the market, John is fortunate. His farm’s future is starting to look a little brighter. His son Gerard, 23, has put his studies on hold and traded Curtin University’s campus in Perth for the paddocks of the eastern Wheatbelt. Gerard, who recently replaced the last of the large farm’s full-time employees, is well aware of the struggles of his fellow farmers. “You hear these stories,” Gerard says, squinting in the harsh light. “No one really wants to talk about those aspects of farming but you often hear someone has committed suicide or done something along those lines. 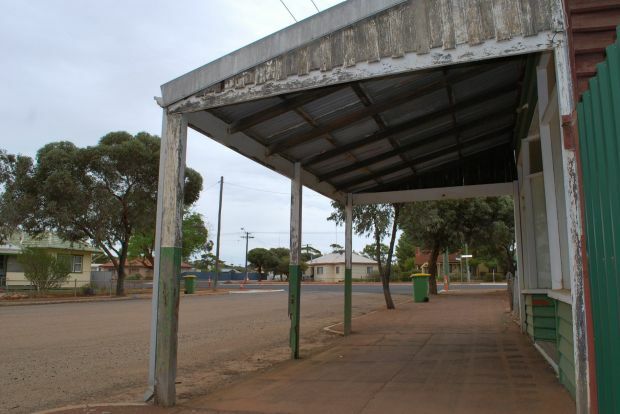 The subject of suicide is often regarded as taboo in the Wheatbelt and across Australia. Many, like Gerard and John, believe that an unwillingness to talk about depression, a trait particularly evident in remote areas, may be part of the problem. Nevertheless, Gerard has hope, although that hope contrasts with uncertainty and grim reminders of the financial, social and human costs being felt across the region – the “for sale” signs outside family farms, properties passed in at auction, abandoned shops, local football clubs recruiting from Perth to field teams and schools closing. Then there was the white Ford XR6 at a car yard in Northam. Gerard and John recently travelled to the Wheatbelt hub, about 200 kilometres south-west of Muka, to try and find a new car for Gerard. They spotted the Ford and John asked the salesman why it had clocked up so many kilometres. He says he felt confronted by what he was told. “The salesman said it used to belong to a Wheatbelt counsellor who travelled around the region trying to stop farmers blowing their brains out,” John recounts. Chris Wheatcroft, CEO of the Rural Financial Counselling Service, knows a little bit about that scenario. His organisation, a WA government initiative, has provided support to hundreds of struggling farmers and others facing hard times in the Wheatbelt. He has been involved in counselling on and off for 15 years. “People are asking: Are they just suffering a series of poor years and it’s going to come good? Are prices going to rise? It’s happened before,” Wheatcroft says. According to 2012 figures released by the Australian Bureau of Statistics, 366 West Australians died as a result of self harm in 2012, representing a 10-year high for such deaths. The statistics also suggest Western Australia’s suicide rate is 25 per cent higher than the national average. Wheatcroft says his service has not lost anyone to suicide in six years and believes doubt needs to be replaced by a positive outlook. “I think we all need hope,” Wheatcroft says. “We’re born to adapt, we just need the opportunity. If you feel trapped, it’s about the opportunity to see things differently. The Shadbolts are one family that are taking this attitude. Perhaps the family farm will continue for another century, as Gerard is one of those who has chosen a positive outlook. “We can do what we want,” he says. “We can try to get out of this how we like. There’s no set way. “You’ve got to take the initiative and that’s a big thing that people have trouble with. “I think it’s a promising future. It’s a waiting game to see who can wait for the longest, really, who can last the longest. And with that he heads off into the silence to fix a broken tractor. The Rural Financial Counselling Service can be reached in 1800 612 004. This entry was posted on Thursday, February 26th, 2015 at 9:30 pm and is filed under DROUGHTS FLOODS, FARM PROPERTIES, FARMING, LIFESTYLES GENERAL, PEOPLE, PLANTS CROPS WEEDS, Western Australia. You can follow any responses to this entry through the RSS 2.0 feed. You can leave a response, or trackback from your own site. Created by miloIIIIVII | Log in | 80 queries. 10.291 seconds. | Entries RSS | Comments RSS.